Feeding babies can be different from one person to another. It is always wise to ask your pediatrician first and test foods to see if the baby is allergic. So many doctors prefer to start feeding the baby at 6 months old but since my baby was bottle fed and he already doubled his birth weight by 4 months and was able to sit up with back support, I decided to start at 4 months. My doctor also agreed with me. I started with the well known safest food for babies. So which one to start with?? Easy, just close your eyes and point at them. It is the very first time so basically it will be one baby spoon and a little more every day. For the first week of eating solid food, your baby will have one meal of the same food for the first 3 to 4 days after that if there is no sign of an allergy, it is time for the second type and so on until you try them all. For about a month, the baby will be tasting a couple spoonfuls in between bottle meals. I bottled fed my baby every 3 hours. It is preferably to feed the baby solids in the AM or early afternoon just in case there is a reaction or sign of an allergy. 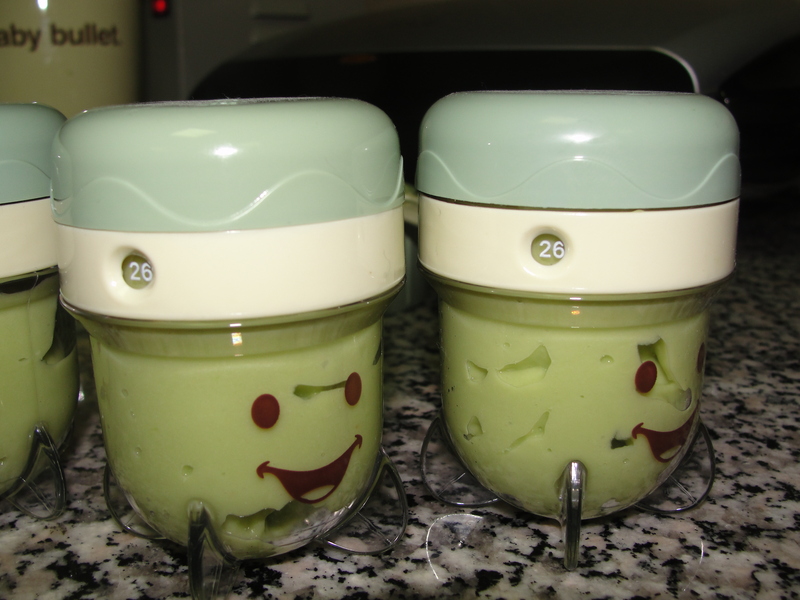 Baby’s first food should be pureed to a very thin consistency. Sweet Potato, Squash, Peas, Zucchini and Apples should be pealed and steamed or boiled until soft before blending them with water (no need to peel Peas). Using a milling blade in your blender, add 1/2 cup of uncooked rice and mill to a fine powder. Add the milled rice and 4 cups of water to a pot and cover until it boils. Once it boils, turn down the heat to low and cook with the cover on for 20 minutes. Test the consistency of the rice – if you want it thinner add more water until you reach the consistency desired. You can add milk powder or fruit puree to the rice when feeding. When my baby was 5 months old and already tasted the entire chart above, I started cooking vegetable soup for him and gave him orange juice as well. You start with one small tomato, one small onion, and one small potato. 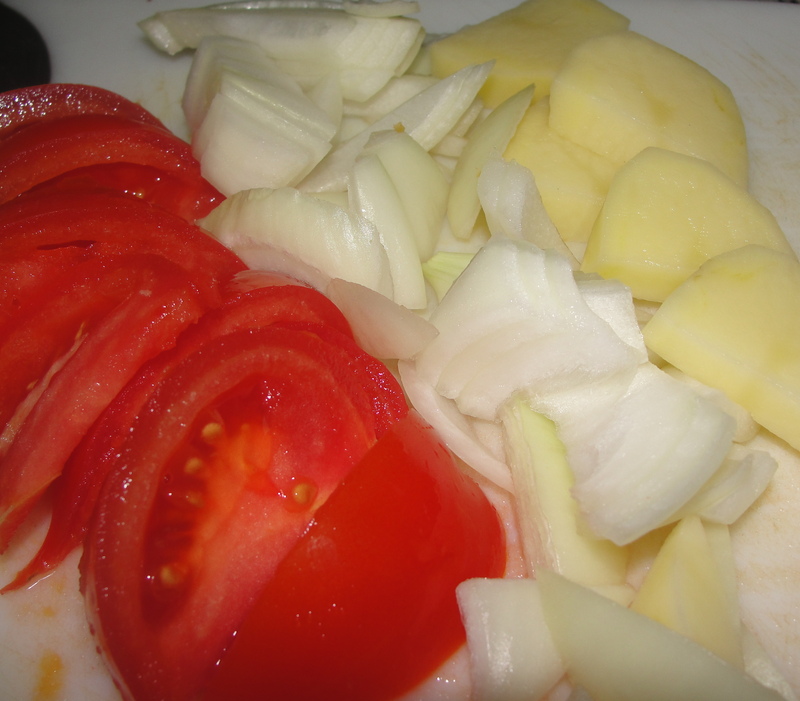 Peal the three ingredients and cut into small pieces (clean the potato after peeling it with water). Add them to a pot and cover with water. Once they water starts to boil, lower the flame and simmer for about 2 hours. 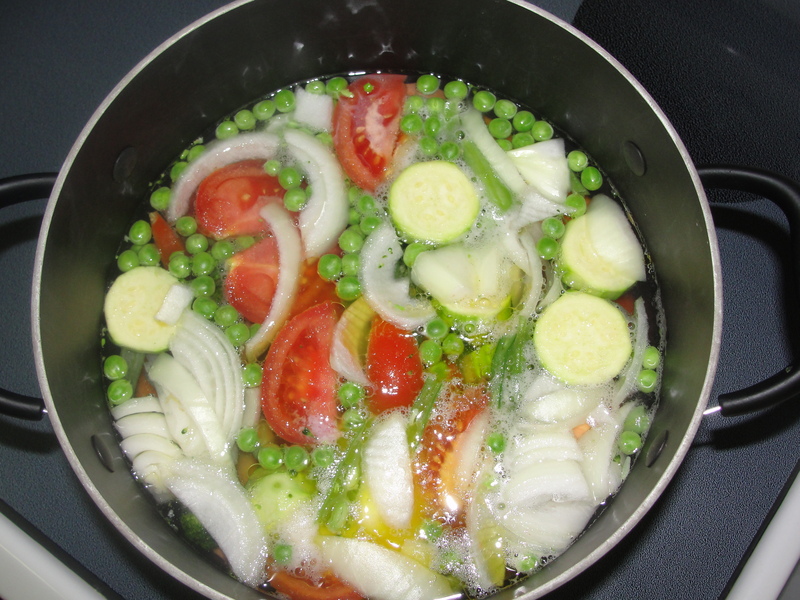 After 2 hours take out the vegetables and blend with some water. This will make you a 3 day meal so you only cook twice a week. 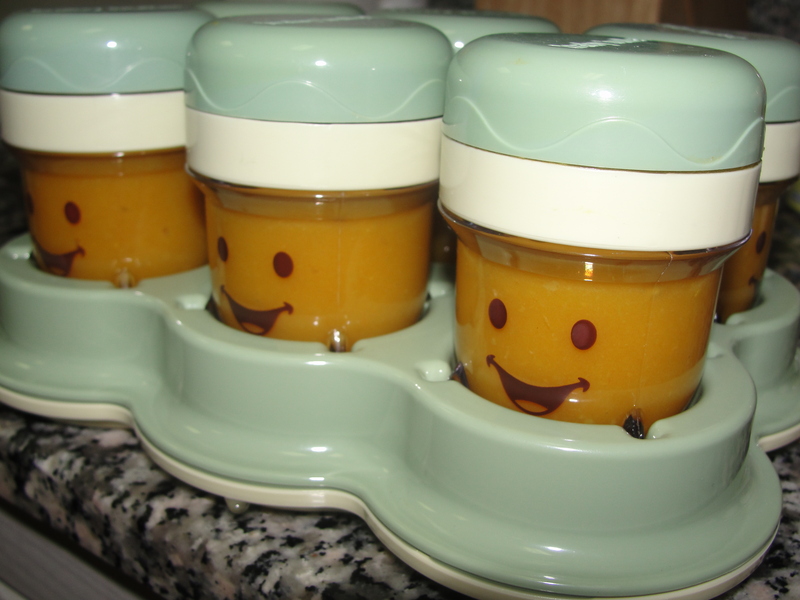 Feed the baby the first day fresh soup and put the second day in the fridge and freeze the third day batch. After one or 2 weeks Add one of the vegetable you already had your baby taste before to the vegetable soup and the soup soon will last more than 3 days and you end up cooking once a week 🙂 (see the picture above). A normal baby meal is 5 tablespoons or 25 baby spoons (Between 20 to 25 baby spoons is a good meal. You will increase it when you see that your baby is still hungry. Snacks in between meals will be 1OZ of orange juice or water and few spoons of one fruit. Last, since the baby started having solid food, his/her bowl movements will change and not be the same anymore 🙂 to make it easier for them and help having less constipation make it a habit of giving your baby a little squeezed orange juice and water to help them have less painful movements and so they do not get backed up. 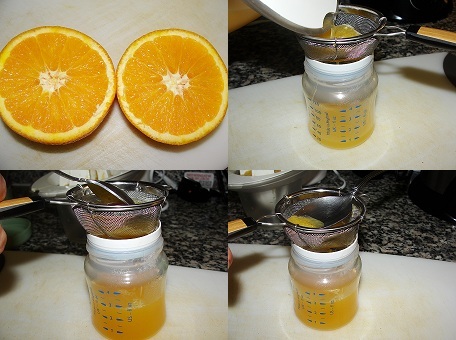 After squeezing the orange make sure to remove the pulps so it doesn’t get stuck in the bottle or have your baby choke. 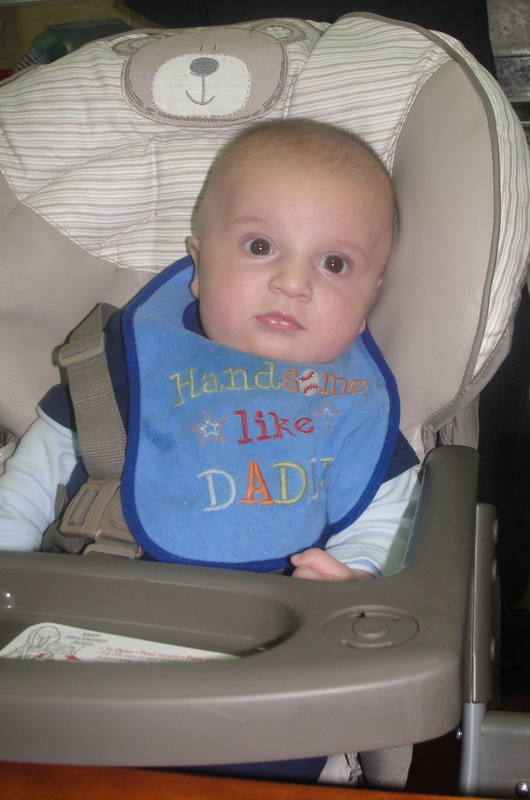 This entry was posted in Baby and tagged Baby, Baby food, Cooking, Family, feeding your baby, Life, Photography. Bookmark the permalink.